With the idea to follow the world trends regarding machines we use in our parquet factory, as well as dimensions according to the European and world standards, in 2013 we decided to promote our parquet line. New Schroeder parquet production machine is the most state-of-the-art model made in 2013 in Germany, which has been put in operation in Grakom immediately in December 2013. 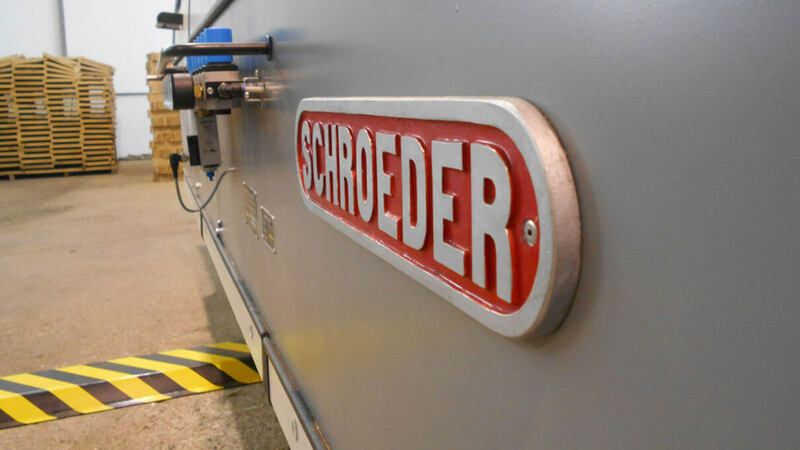 The very name of this machine manufacturer – Schroeder, tells a lot for itself. In the machinery used for parquet production and processing Schroeder already has its status position and is for sure one of the leading companies that produces the best and most precise machines for generations. Unlike earlier models, the new machines are adjusted by a computer which means their tolerance is brought to minimum, in other words precision is maximal and hence the waste is insignificant, under conditions that the strips for parquet are of high quality. Having in mind that in scope of our production we ourselves produce and dry 80% of strips which we then use for parquet, we really take care of selection of the wood, to be adequate and to have as little waste as possible. All of that brings us to the results that when clients buy our parquet they have a maximum use of strips. It is important to mention that we dry our strips, actually semi-product for parquet production, in the most contemporary way, in the driers of the best quality, and right after the drying process we do the conditioning treatment, which is actually equalizing the moisture in strips. We maximally long to reach approximately identical moisture in each strip. Conditioning treatment is recommended to last from 8 to 12 hours, and we do that for 48 hours in order to ideally equal the moisture and thus prevent shrinking as well as swelling which might happen on the contrary. One more characteristic of the new Schroeder machine is that a number of its operators is reduced significantly, by which we save time and hence square meters of parquet produced per hour or, for example, in one shift significantly increased in comparison to the earlier period. In the end it is the most important to say that by this new machine a perfect quality of processing has been reached, precision is maximal, geometry is ideal and once the parquet is installed sanding and sealing that follows is reduced to minimum. This way the parquet may be beautifully installed, and the finishing is much easier. We produce, and our clients get really perfect parquet in their home.